Angry Aussie has been ranting angrily on YouTube since 2006. He runs a political commentary YouTube channel with more than 43 million views, and is also a lynchpin of the Australian YouTube community. He is the head of the Melbourne YouTube Video Makers group and brings local YouTubers together with regular meet-ups. If you are visiting the One Million Views exhibition site, this is the soundtrack for Tiyan Baker's "Portrait of Angry Aussie"
If you are visiting the One Million Views exhibition site, this is the soundtrack for Xanthe Dobbie's "Portrait of Angry Aussie and Aidzee"
Angry Aussie told me that he is rarely angry in real life. Instead he loves his wife’s garden, photos of which flood his Facebook and Instagram, and every time I see him he talks at length about his teenage daughter’s delicious fried chicken recipe (which I have tasted, and it is delicious). 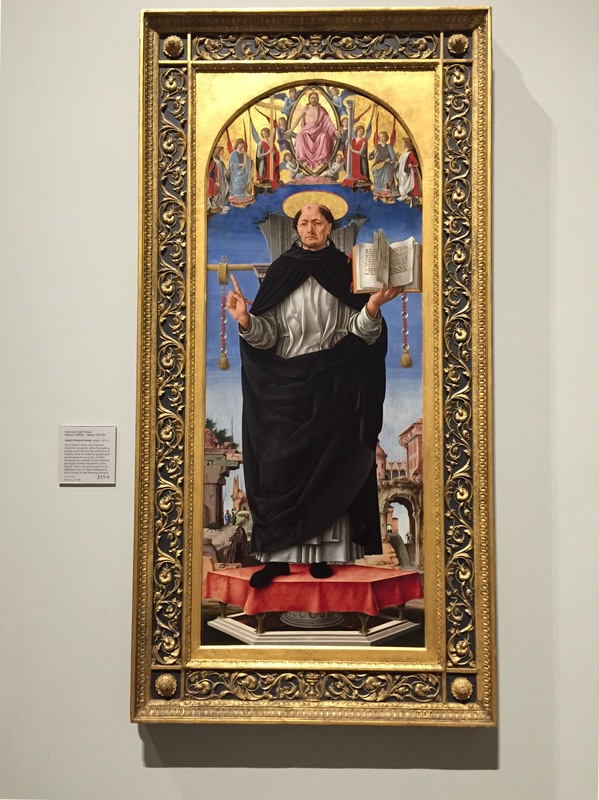 In this digital portrait, Angry Aussie, a sociopolitical online ranter, replaces St. Vincent Ferrer, the patron saint of orphanages, attributed with a “tongue of flames”. In the clouds above, Aidzee is depicted as Christ bearing His wounds, and is flanked by Vladimir Putin, Barack Obama, muscle men and Tony Abbott-headed creatures. At this point, Aidzee’s heart has stopped 6 times and, according to his one man show “Code Grey” (2010), he considers himself immortal.